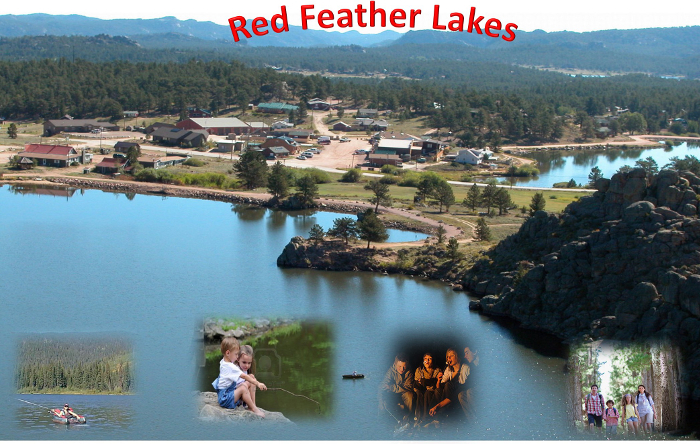 Red Feather Lakes is a charming and relaxed Colorado mountain village, a residential and recreational community that features a series of eight scenic lakes, surrounded by the natural beauty of the Roosevelt National Forest. Located just 43 miles northwest of Fort Collins and only a few hours drive from Denver International Airport, the escape and solitude of Red Feather Lakes is readily accessible. Early settlers brought ranch and logging operations to the area beginning in the 1870s with the first cabin built along South Lone Pine Creek by pioneer, John Hardin. With the need to store water from the higher mountains for downstream irrigation needs, the lakes as we know them today were created in the early 1900s and soon became valued recreational amenities. Many cabins were built around the lakes in the 1920s which saw the beginnings of a summer resort area providing opportunities for fishing, golfing, and mountain enjoyment. Here you will commonly find a variety of wildlife including moose, elk, deer, black bear, mountain lion, bobcat, and coyote, as well as many small animals and colorful birds. Today the village and surrounding area offers residents and visitors many daily conveniences including camping and recreational areas, general stores with fuel and groceries, antique and gift shops, and locally operated restaurants. Village services also include an area fire station, a community building operated by the Property Owners Association, a well-stocked community library, and post office. The diversity of housing in this unique serene community is wide ranging, to suit every mountain lifestyle, from rustic cabins dating back to the 1920s, to moderately priced fully functional homes for summer or year-round use, to luxury custom homes of every size. West Lake (Public) offers day use area and campground with reservation. Dowdy Lake (Public) offers day use area and campground with reseravation. Bellaire Lake (Public) offers day use area and campground with reservation. The following lakes are private and require a fishing membership to access. For infomration regarding the membership to access 8- private stocked lakes of Red Feather click the link below. Check back often for updated photos, information and activities on the Lakes of Red Feather. 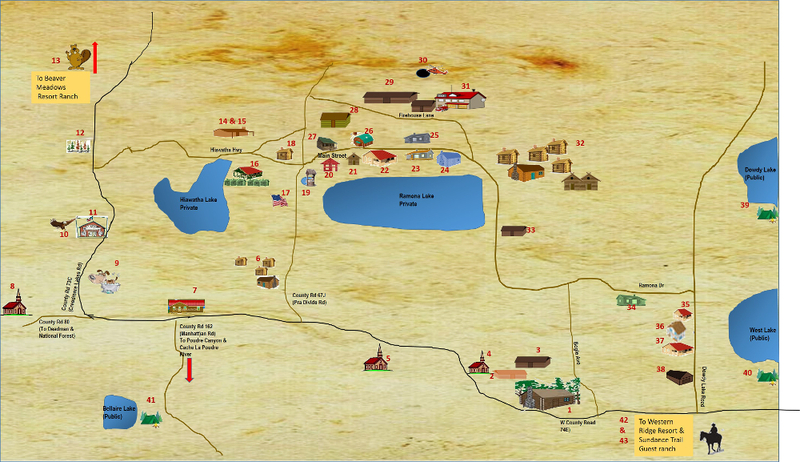 Red Feather Lakes has several business's that provide services and conveniences to residents and visitors. Scroll below the map to find informaiton about the business corresponding to the number on the map. Behind the POA building at 58 Fire House Lane 911 or Red Feather Volunteer Fire Dept. Red Feather Volunteer Fire Dept. 44 Fire House Lane 970-881-2565 Red Feather Lakes Volunteer Fire Dept. 33. Chaple In the Pines Thrift Shop AKA "Red Feather Mall"